If your appreciation for cheese has graduated from the questionable table that used to be in the back of Lion Pub, mark your calendars for this weekend's California Artisan Cheese Festival in Sonoma. 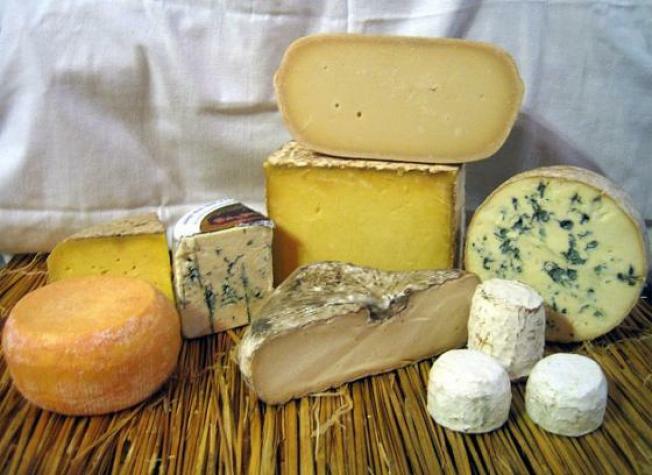 A cheese heaven awaits, featuring a bonanza of tastings and seminars led by cheesemakers, chefs (Bruce Hill from Zero Zero will be there) and fromagiers. It's all about the farmstead (meaning cheese produced from the farmers' own herd) and the artisan (meaning cheese produced in small batches, with an emphasis on tradition) with a solid lineup of local cheese luminaries. Heavy hitters include perennial award-winners Marin French, Sebastapol's Bohemian Creamery and Modesto's Fiscalini. We've also got our eye on the chocolates from Poco Dolce (some of the best we've ever tasted) and the always-delicious rye from Anna's Daughter's. We've got a pair of tickets on our hands to give away to a newsletter subscriber. Make sure you're signed up (you can do so on our homepage) and we'll pick a winner on Thursday.